Dr. Daniel Mruzek, an Associate Professor in the Department of Pediatrics and a 2009 CTSI pilot funding awardee, has collaborated with the Department of Biomedical Engineering to construct a device designed to help toilet-train children with autism or other developmental disabilities. Dr. Mruzek says the overall goal of the device is to help break down the social barriers faced by children with developmental disabilities. Research shows it may take a family a year-and-a-half to toilet-train a child with autism. In the initial pilot study, the device reduced that time to a few weeks. Preliminary funding was provided by the CTSI’s Clinical and Translational Pilot Award program. 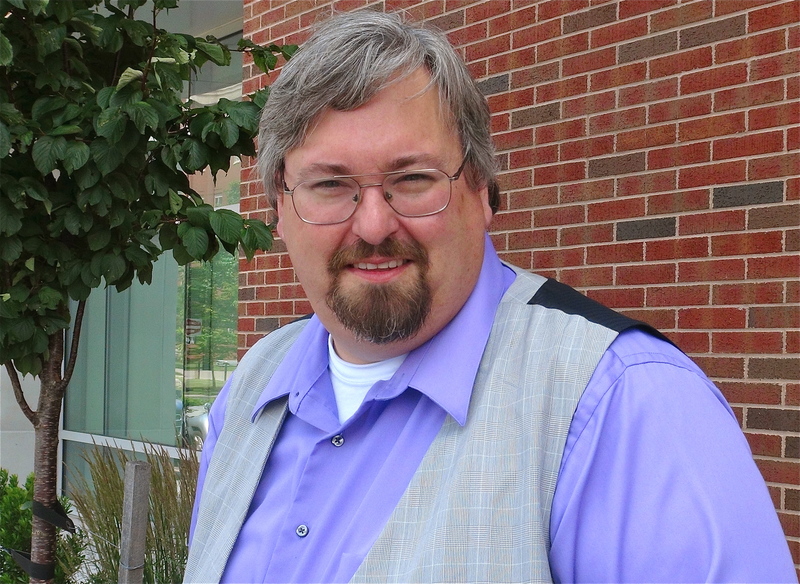 Dr. Mruzek received a Faculty Award in the amount of $50,000 to support one year of research. Dr. Mruzek collaborated with Dr. Stephen McAleavey, Associate Professor of Biomedical Engineering, to develop the device. It consists of an iPod, a Bluetooth-enabled transmitter, and a sterile pad with a sensor. When a drop of urine touches the pad, the sensor sends a signal to the iPod, triggering an alarm. The caregiver or teacher carrying the iPod then knows to assist the child in the bathroom. If the child successfully uses the toilet, the iPod offers a reward – a game, song, or photo. The device’s functionality also includes the option to e-mail progress reports to the child’s physician. The software for the project was written by Dan Hansen, a freshman computer science major. The CTSI’s Clinical and Translational Pilot Award program provides funding for preliminary and proof-of-concept studies critical to moving basic laboratory findings into clinical applications. It offers awards in four categories: Faculty; Trainee; UNYTE Translational Research Network; and Novel Biostatisticial and Epidemiologic Methods. To read more about the program, click here. To watch a video of Drs. Mruzek and McAleavey explaining the project, click here. 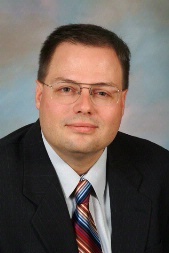 To view Dr. Mruzek’s URMC research profile, click here. 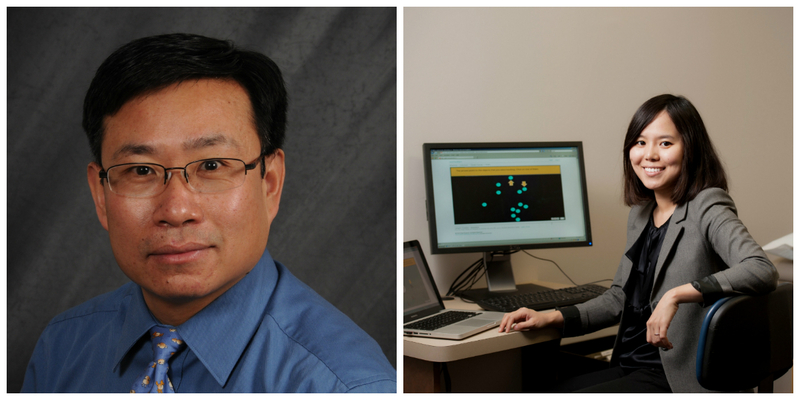 The UR CTSI announces two 2013 KL2 awardees: Xiuxin Liu, DDS, PhD and Feng (Vankee) Lin, PhD, RN. Funding began for Drs. Liu and Lin on July 1st. Since its inception in 2006, the CTSI KL2 program has funded 26 junior faculty with 10 of them going on to receive external K awards. The RFA for the 2014 KL2 program can be found here. Letters of intent are due on Monday, September 27th. The KL2 Mentored Career Development program provides 2 years of support for new faculty who wish to pursue research careers in multidisciplinary clinical and translational science. Dr. Liu is an Assistant Professor in the Department of Dentistry/Eastman Institute for Oral Health. His research activities mainly focus on glia-neuronal interaction and its implication in developmental and clinical disorders. He is especially interested in the pathogenesis and management of dental orofacial pain, and the underlying cellular and molecular mechanisms. For his KL2 project, he will examine the role of intercellular ATP signaling in dentin sensitivity and orofacial hyperalgesia. Click here to view his faculty profile. Dr. Lin is currently an Assistant Professor in the School of Nursing and research associate in the AD-CARE program, Department of Psychiatry. Her research focuses on preventing cognitive decline in groups at risk for dementia and promoting successful cognitive aging by delivering neuroplasticity-based behavioral interventions. For her KL2 project, she proposes a randomized controlled trial to compare the efficacy of two types of neuroplasticity-based cognitive training programs to prevent cognitive and functional decline in patients with mild cognitive impairment, a group at high risk for dementia. Click here to view her faculty profile. As the Director of URMC’s Shared Resource Laboratories, Tim Bushnell, PhD, serves as an ambassador for building the bridge between basic science research facilities and clinical scientists in order to drive clinical and translational research at the University of Rochester. The state-of-the-art tools and resources housed by the Shared Resource Laboratories give investigators at the University, as well as throughout New York State, the ability to conduct studies geared toward personalized medicine. To read Dr. Bushnell’s full Featured Personality profile, click here. To watch a video of Dr. Bushnell explaining the purpose of and how to use the Shared Resource Laboratories, click here. To visit the Shared Resource Laboratories website, click here. Four new medical students have started their projects as part of the CTSI Year-Out and Academic Research Track programs. The CTSI Year-Out program funds medical students to work on a year-long mentored research project. Jarrod Bogue will be working with Dr. Joseph Wedekind to investigate the fundamental biochemistry and conformational properties of a specific riboswitch from Neisseria gonorrhoeae. Aimee Morris will be working with Dr. Jonathan Mink on the clinical characteristics, musical variables, and pathophysiology of Focal Embouchure Dystonia, which is a movement disorder affecting musicians (brass and woodwind players in the case of embouchure dystonia). Jeffrey Reed will be working with Dr. John Elfar on the effects of erythropoietin on healthy bone. Melissa Squires will be working with Dr. Stephen Sulkes to analyze data on inpatients with intellectual and developmental disabilities at Strong Memorial Hospital. Information on all of the past CTSI Year-Out trainees can be found here. (the tumor microenvironment) to survive, targeting such interactions represents a novel approach for treatment. For this to occur however, it is imperative to understand what such interactions are and this is the goal of this project. Dr. Bernstein will collaborate with Dr. Richard Bankert, MD, Professor of Medicine (Microbiology and Immunology) at SUNY Buffalo.